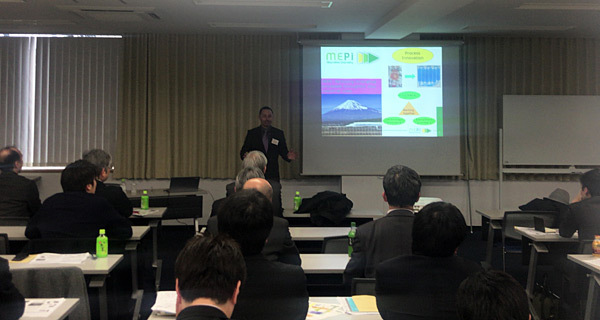 MEPI était présente au Symposium GRAMS (Group for Research on Automated Flow and Microreactor Synthesis) à Osaka, Japon, le 8 Février dernier. Le symposium est organisé par Kinka Chemical Society, et présidé par le professeur Jun-ichi Yoshida, une référence mondiale en matière de chimie en continu. Laurent PICHON, Président de MEPI, présentait le concept de cette structure d’excellence en procédés innovants, ainsi que des cas de réussites à échelle industrielle. Un débat interactif avec l’auditoire s’en suivit. Laurent PICHON, Président de MEPI, a présenté l’évolution des marchés de la chimie en procédé continu, lors de la dernière décennie. Le symposium était organisé par TKS. Society individual members save 25% on the registration fee and non-members will receive their first year’s membership included in the fee. L’école thématique du CNRS sur la photochimie se tiendra du 16 au 21 septembre 2018 à Anglet (64). Une fluoration en procédé continu probante dans le cadre du consortium IMI CHEM21. La MEPI, la maison européenne des Procédés Innovants installée sur l’Ile du ramier à toulouse est associée depuis un an et demi à un projet européen avec Sanofi à montpellier et l’Université de durham en Angleterre en exploitant un réacteur développé en Carbure de Silicium (SiC) par boostec dans les Hautes-Pyrénées. 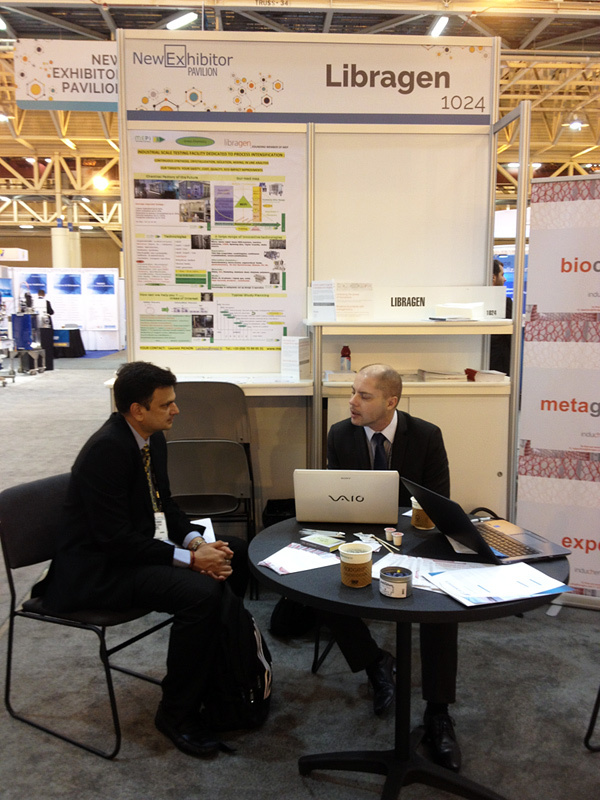 MEPI sera présent au Salon INFORMEX qui se tient à la Nouvelle Orléans (Etats-Unis) du 2 au 4 Février prochain. Vous pouvez nous rejoindre sur le stand LIBRAGEN (Membre fondateur de MEPI) n° 1024. 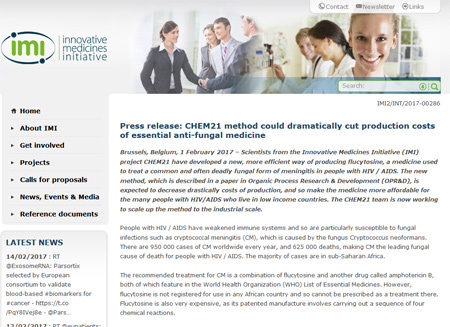 Vous pourrez y discuter de vos besoins en biocatalyse et intensification de procédés (microréacteurs) ! 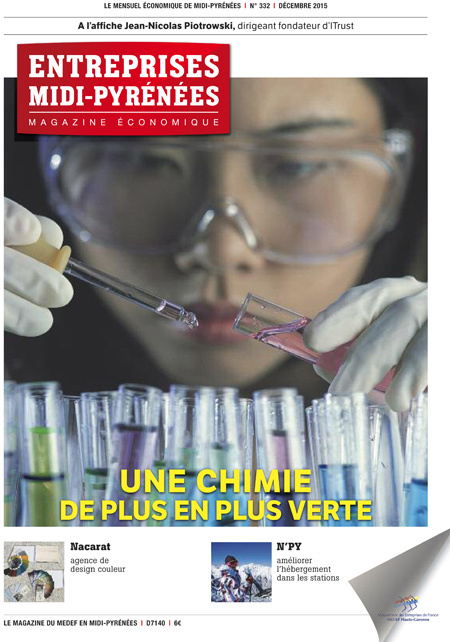 «La MEPI est positionnée à 100 % sur les 12 principes de la chimie verte» : Laurent Pichon, directeur général. clients, qui s’intègrent dans l’écosystème régional du Cluster Chimie verte. Les réacteurs testés par la MEPI visent de multiples applications de chimie fine pour l’industrie, la pharmacie, la cosmétologie… tant en France qu’à l’international. 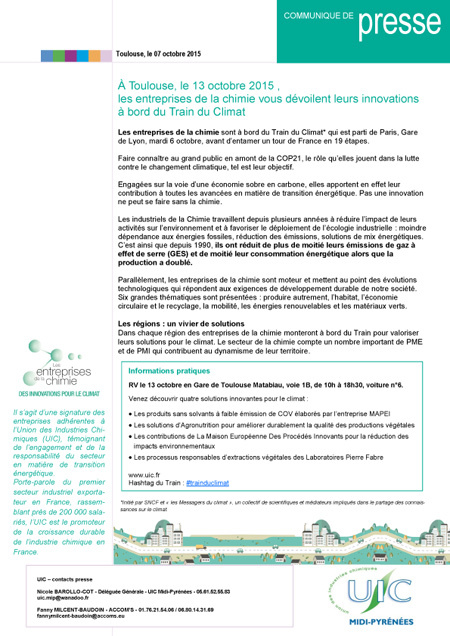 Le COBR de Nitech Solutions Ltd © est disponible en démonstration chez MEPI. 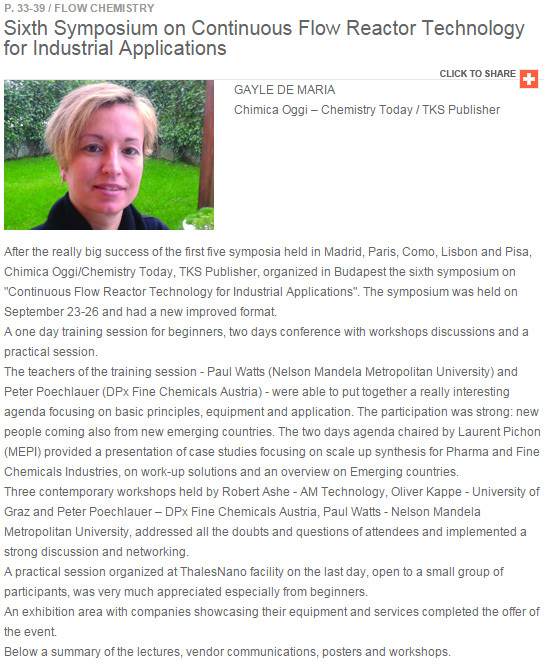 Photochimie : Article MEPI dans CHEMISTRY TODAY – Sept/Oct 2015. 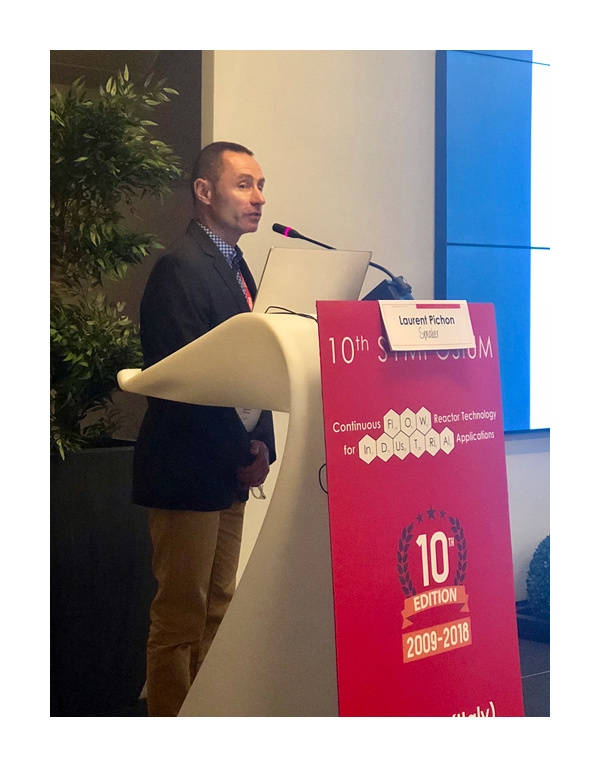 Since the last decade, Process Intensification opens up interesting perspectives for the Fine Chemical and Pharmaceutical industries. 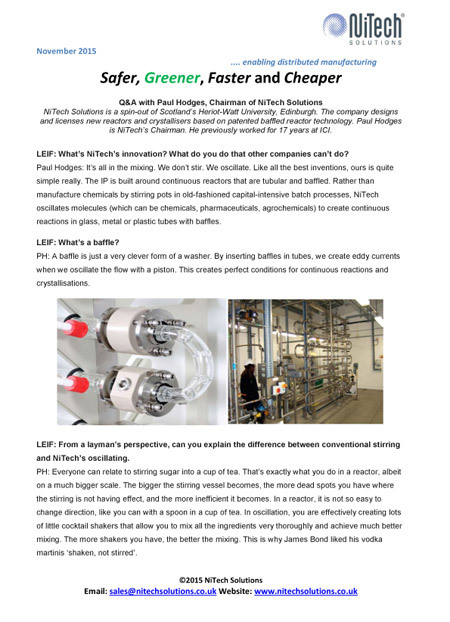 A wide range of chemistries has been investigated through the use of flow reactors showing the advantages and the improvements related to such technologies, with regards to quality, safety, competitiveness and eco-impact. In this way, various equipments based on the tubular or the heat-exchanger concepts have been developed. 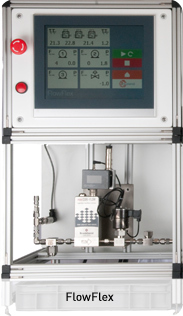 All these equipments benefit from miniaturization techniques and micro (or milli)-fluidics to enhance transfer phenomena. 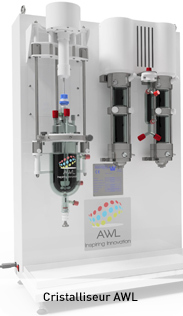 Flow reactors are devices where chemical reactions are performed in narrow channels involving a very high surface area to volume ratio which provides very efficient rates of mass and heat transfer. Such key advantages offer new opportunities for preparative photochemistry, like extensive penetration of light, even for concentrated chromophore solutions, decrease of side reactions or decompositions and easy control of the irradiation time. 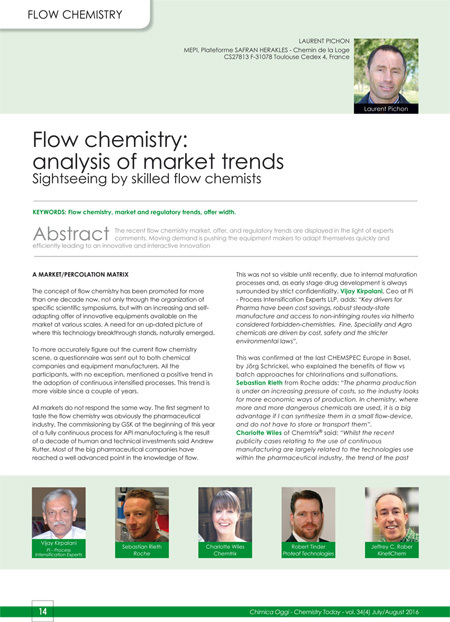 As a consequence, in the last years, there is an increasing interest in flow photochemistry either for producing at lab scale quickly and selectively few milligrams of target molecules (1-4), or for understanding and modelling the positive effects of the small-scale for smart scale-up purposes (5-6). Most of these flow photochemistry studies use “home-made” equipments, i.e. involving non-optimal combinations of flow reactors and light sources. The related results have strengthened this technology breakthrough and driven the development of dedicated flow photo-reactor modules. 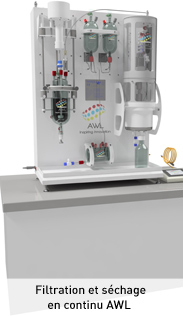 These commercial solutions mainly focus on the photochemistry development at lab scale (7-10), restricting the scale-up of the considered applications. Few equipments are available at meso scale, i.e. allowing dozens of grams synthesis (11-15): the emergence of the Corning G1 Photo Reactor on the market thus appears as a real opportunity to address this need. The purpose of this work is to assess the potentiality of the Corning technology to perform flow photochemical synthesis at pilot or industrial scale. Corning offers efficient solutions for flow chemistry (Advanced-Flow™ reactors), based on the concept of plate heat-exchangers. These reactors, made of glass, offer at meso-scale a complex design called Heat Exchange and Advanced Reaction Technology (HEART) ensuring enhanced heat and mass transfer (16). 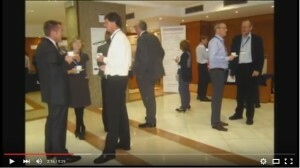 A long list of success stories (17- 23) has made them standard tools for process development and continuous production. 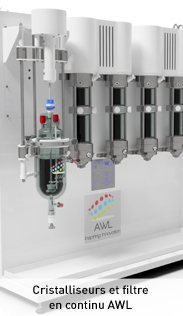 Hence, the coupling with light sources appears very natural to perform photochemistry while benefitting from performance capabilities of Advanced-Flow™ reactors. Therefore, the resultant Corning G1 photo reactor (see on Figure 1) presents an Advanced-Flow™ design equipped with energy-efficient light sources (LED array), enabling to provide a homogeneous and intense light distribution inside the whole volume (24). The light source consists in LED arrays placed on both sides of glass fluidic modules and adjustable in terms of wavelength and of light intensity. The wavelengths available are at present limited to 365 nm or 405 nm, which prevents the implementation of photochemical reactions requiring UVB or even UVC light. 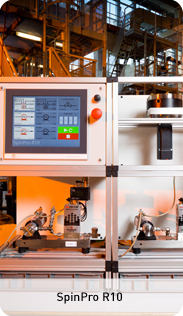 The reactor conception keeps the versatility and modularity features of Corning reactors by proposing an independent control of the different LED arrays and the possibility of connecting up to 5 fluidic modules in series. The nominal flow-rate range is from 10 to 150mL/min with a maximal allowable pressure inside the channel up to 18 bars. The fluidic module volume, Vr, is 9mL, and the channel depth (in the light attenuation direction) 1.2 mm. For each fluidic module, the irradiated channel surface, Sirrad, is equal to 78cm2. This work has been carried out at MEPI, a piloting and demonstration facility in Process Intensification (25). To operate under fully controlled operating conditions, a specific module dedicated to continuous applications has been used. 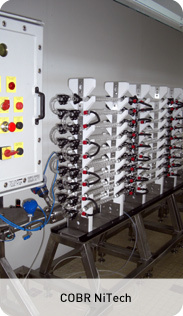 This equipment combines dosing lines based on Cetoni NEMESYS syringe pumps and a full data acquisition system on temperature, pressure, flow-rate and density. In the present experiments, typical flow-rates range from 1 to 30mL/min, which corresponds to 0.3 to 9 min of residence time under light irradiation (i.e. of irradiation time). 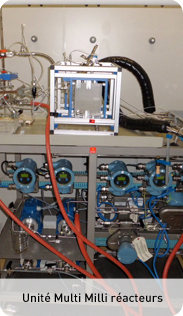 In the case of the 5 fluidic module set-up, a micro gear pump (HNP MZR 7255) in combination with a mass flow controller (Bronkhorst CORI-FLOW™) were used with a typical flow range of 20-200 mL/min. The photochemical reaction under test is the synthesis of pentacyclo(5.4.0.02,6.03, 10.05, 9)undecane-8,11-dione 2 (the ‘cage’ compound, species 2) via the intramolecular (2+2)-photocycloaddition of 1,4,4a,8a-tetrahydro-endo-1,4-methanonaphthalene-5,8-dione 1 (species 1, 174.2g.mol-1), as described on Figure 2. The species 1 is either prepared through a Diels-Alder reaction involving cyclopentadiene and 1,4-benzoquinone (26), or purchased directly (CAS: 51175-59-8). The solvent is ethyl acetate (AcOEt). As shown by (5), the Napierian molar absorption coefficient of the species 1 at the irradiation wavelength (365 nm) is equal to k1=142.2 m2.mol-1, and the species 2 does not absorb significantly at this irradiation wavelength. Where h is the channel depth in the light attenuation direction (1.2 mm). Samples are taken at the exit of the photoreactor and stored in the dark in a refrigerator. Then, the solvent is removed under reduced pressure and conversion X is determined by 1H-NMR in CDCl3. At 90mW.cm-2 when C0was equal to 0.1mol.L-1. These incident photon densities correspond to an incident photon flux, qp, (per fluidic module) equal to 3.1W and to 5.5W respectively (which is equivalent, at 365nm, to 34.3mmol photon.h-1 and to 77.1mmol photon.h-1 respectively). One of the main issues of continuous intensified reactors (and therefore of continuous photoreactors) lies in residence time. In fact, from hydrodynamics considerations, the flow-rates required to generate high mass and heat transfer rates are directly fixed by the reactor geometry through flow velocity. Thus, there is a minimum flow velocity, generally about 0.1m.s-1 (which is related to the channels dimension), that makes difficult to combine high residence time with efficient performances. Consequently, in such kind of reactors, the residence time is generally restricted to 20 minutes at maximum. Two strategic approaches are then developed to overcome this constraint and carry out slow reactions. A classical approach lies on increasing the residence time by close loop operating, at the expense of productivity. A more innovative approach proposes to reduce the reaction time by modifying operating conditions while profiting of enhanced performances in terms of mixing, heat and mass transfer and light distribution in photoreaction cases. Corning photoreactor is based on this latter concept and the results on the benchmark photoreaction show that its performances allow full conversion to be achieved in less than 10 minutes, whatever the initial concentration was (3 min, 4.5 min and 9 min are respectively required for C0 = 0.1, 0.14 and 0.27mol.L-1). At full conversion, the resultant productivity (averaged over the three initial concentrations) is also significant as 2.96 ± 0.16g.h-1 of “cage” compound can be obtained at reactor outlet. Regarding the photoreaction performances, a more detailed analysis has been performed to understand the reactor behaviour and to propose a simple methodology for optimal control. Thus, in Figure 3 are reported the variations of the conversion X into species 2, as a function of the irradiation times, tirrad, for different initial concentrations in species 1, C0. For a fixed irradiation time, conversion decreases with increasing initial concentrations. This can be explained by the fact that the light attenuation along the photoreactor depth is stronger when concentrated solutions are involved. Figure 3 also shows that, whatever the initial concentration, few minutes are enough to achieve complete conversion. 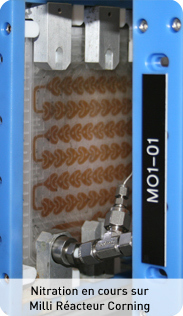 For the lowest initial concentration (0.1mol.L-1), the experiments have been carried out using either one or five fluidic modules (noticed FM). As observed in Figure 3, the performances are kept almost constant while increasing the number of fluidic modules, thus emphasizing that the related hydrodynamics modifications inside the reactor channel (in terms of pressure drops and flow behaviour) have a few impact on the conversion achievement. It offers interesting opportunities to increase productivity: at least, a factor 5 could be obtained on the amount of “cage” compound produced by increasing global flow-rates or by using all 5 modules in-parallel. Moreover, in cases where a single module achieved incomplete conversion within the 9 min window, the 5 modules in-series configuration may offer the opportunity to reach full conversion. Where A0 is the Napierian absorbances defined by Eq. (1), qp the incident photon flux and Vr the photoreactor volume. The application of this model to the experimental data supposes that the quantum yield of the reaction, Φ, is known. As it is not the case (no value being reported in the literature), the product Φ.qp is directly determined by fitting Eq. 2 with experimental measurements. One obtains a value close to 64.8mmol.h-1 for C0 equal to 0.10mol.L-1 and to 32.4mmol.h-1 for C0 equal to 0.14 and 0.27mol.L-1. When divided by the incident photon flux qP (see values in the section Material and Methods), this leads to a quantum yield slightly smaller than one, as expected for this kind of photochemical reaction.Figure 3 shows that the predicted and measured conversions are in good agreement, and thus Eq. (2) can be used as a tool for predicting the irradiation times required to achieve full conversion for this type of photochemical reaction. From the data reported in Figure 3, one finds some values of Space-Time-Yields from 350 to 600g.L-1.h-1, depending on the initial concentration: they are almost ten times higher than the ones obtained by Aillet et al (5) in a batch immersion well reactor. The main result of this work was to demonstrate that novel Corning technologies recently proposed for Process Intensification are suitable for preparative photochemistry. Regarding a benchmark photoreaction, the reactor demonstrates that only few minutes were indeed required to achieve full conversion, even for concentrated solutions. 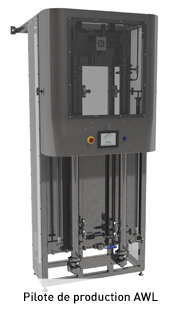 In addition, the productivity capabilities were demonstrated through the use of up to 5 fluidic modules set-up in-parallel or in-series. In this last configuration, it has been shown that 30g.h-1 of “cage compound” could be easily produced. Furthermore, a methodology and the related modelling tool have been proposed for optimal process design and control. The emergence of this meso photoreactor that proposes such productivity features, offers interesting perspectives in terms of process development and production. 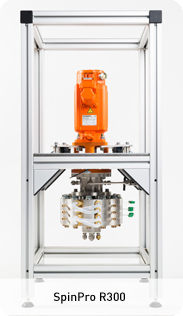 The G1 photo reactor then positions itself as a relevant alternative to typical batch photo-reactors and more particularly in the cases of complex multiphase systems where Corning design has already demonstrated significant benefits (27-31). La MEPI participe au train du climat. 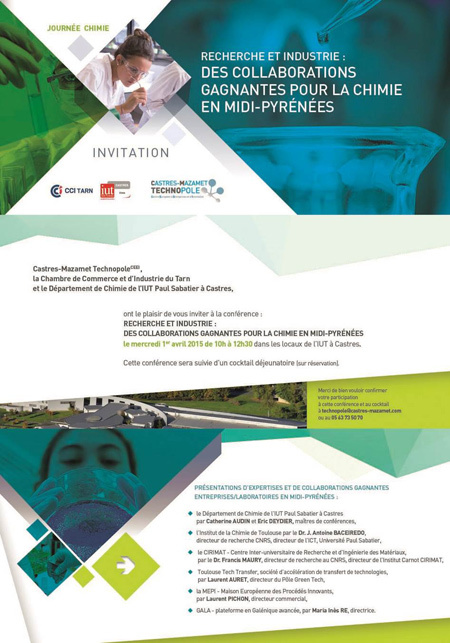 Journée « Recherche et Industrie » par la Technopole Castres-Mazamet. 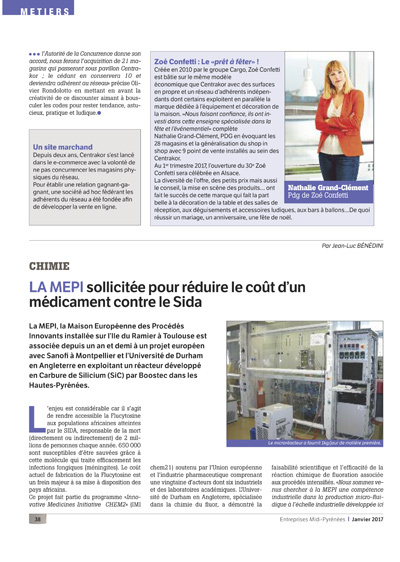 MEPI interviendra à la journée « Recherche et Industrie : des collaborations gagnantes pour la chimie en Midi-Pyrénées» organisée par la Technopole Castres-Mazamet.